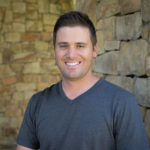 Ryan joined our pastoral team in January 2014 as our Pastor of Next Generation Ministries. He currently serves as our pastor of leadership development. Ryan is married to Kirsten and they have one son and two daughters. Ryan has studied strategic management, marketing, logistics and theology. Prior to joining Rosebank Union he worked at St Stithian’s Boys School where he was the Head of Department (Business Studies) and Boarding House Master. A privilege to be on board! It is a great privilege to be on board the Rosebank team.